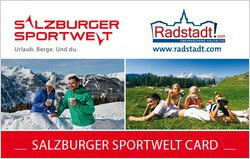 Take of advantage of the Salzburger Sportwelt Card, and receive reductions at a variety of sights & attractions in the area. Admission fees to the local bathing lakes and swimming pools, plus chairlift and cable car fares are also a discounted rate. 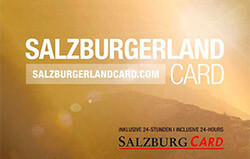 The SalzburgerLandCard offers free admission to over 190 sights and attractions throughout the whole of Salzburg. There are also a number of discounts to e.g. the Ice Caves, Hohenwerfen Castle, in the City of Salzburg etc.